The show Undercover Boss began in the U.K. in 2009 and has since spread around the world. Every week, and in countless reruns on TLC, OWN, and more, we watch as CEOs go undercover in their own companies to discover new things about themselves, their employees, and their work as a corporation. From White Castle to DirecTV to Hooters, companies all over the world are using Undercover Boss as both a business learning opportunity and a marketing ploy. Secret shop your own company.Especially if you work in a retail or service oriented business, it’s easy to be your own “secret shopper” or enlist your friends and family in the same. Ask friends to go to your store, complete a request with your company, or even just check out your website checkout process. The feedback you’ll get from simple secret shopper experiences will help you make changes and suggest additional productivity measures. Talk to everyone you see.One of the biggest lessons CEOs in Undercover Boss learn is the phenomenal stories of the people who work for them – fry cooks at White Castle that a CEO would never speak to actually have fantastic ideas about recipes, and janitors in the Cubs organization show the real heart of a family owned business. Do the same in your career, whether you’re in a company big or small. Be the person who gets to know the people who clean your office and make copies. Get to know people in other departments and ask about what they do, even if accounting bores you to tears. You’ll learn an incredible amount from the people you might not talk to otherwise. Say thank you. At the end of every Undercover Boss episode, the CEO reveals themselves to those they met in the process, and the theme across the board is that all of them say “Thank You” profusely to the staff who support their company and make it successful. Take that sentiment with you and say “Thank You” more. Your work to go “undercover” might not be televised, but it will be noticed and recognized, if not right away, in the long run. 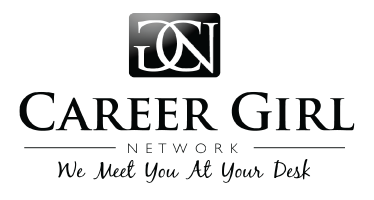 So take your career to the next level with your own “undercover” work.